Well I've got off to a reasonable start. The weather has turned wild wet and windy and this has limited my options somewhat. My sewing wardrobe is heavily swayed towards summer dresses and tops but nonetheless I've found a few things to wear. Tie necked summer blouse. One of the 1st few things I made when I discovered Burda Magazine in the Library (then I got the magazine for 20c when they sold it on. Bargain!). Its a pretty top but I don't wear it often, I think I am going to shorten it as the long length means I need to tuck it in. The colder weather continued so I pulled on my fleece. I've not blogged about this one but it's an adaptation of Victory patterns Lola dress. 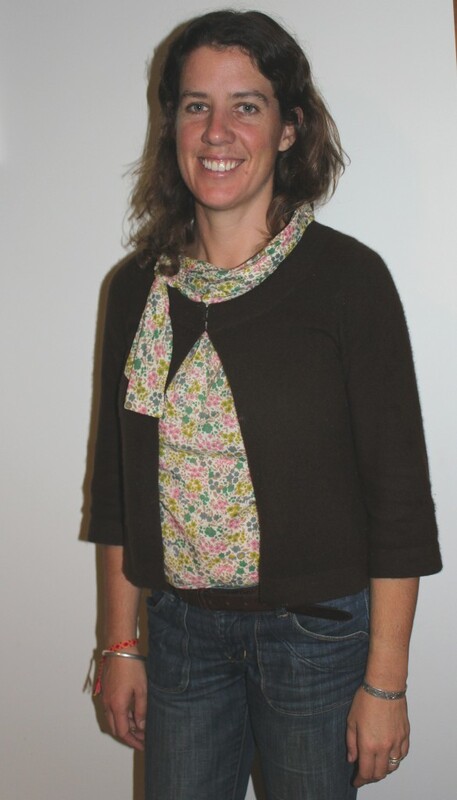 Shorter obviously, with a pocket added in the middle and longer sleeves. I also added a turtleneck type collar made out of ribbing. I initially brought the white fleece to make one for my wedding as we planned to paraglide off after our ceremony. We did fly off the hill we got married on but I didn't make the fleece in time. 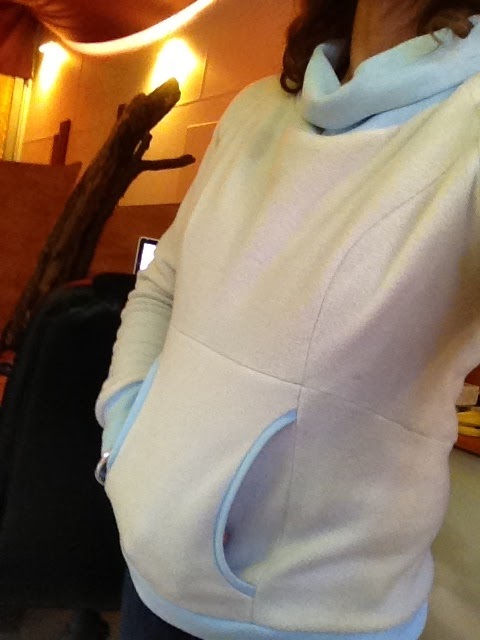 This fleece is super cosy and even though the colour isn't super practical I wear it often. I was also wearing a me made red dolman sleeve t shirt underneath but didn't get a photo. I wore my new Kelly Skirt (and green raglan T). I love it but didn't get any photos as I was feeling ill and grotty and my chief photographer was off finishing off his Permaculture Design Course. Will post about it soon. We headed down to Fair Harvest in Margaret River where The Husband was finishing his course. 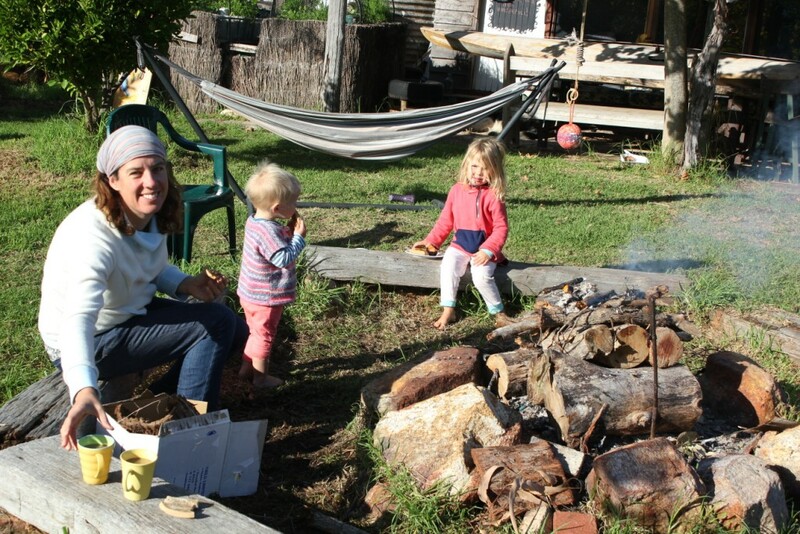 We hung out round the fire, drinking coffee and eating home made bread (me), visiting the chooks and geese (kids) and met some very lovely people (all of us). Practicality was the name of the game and I wore my fleece again and my blue liberty tank. Well I wore the same clothes again, we had been camping after all. 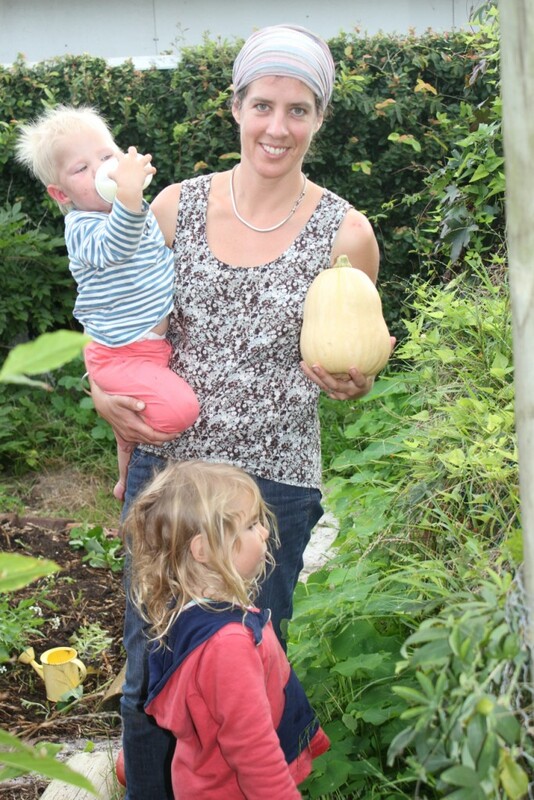 Here I am back at home with the only squash I managed to grow this year. I'm pretty pleased with it none the less. What shall I make with it? 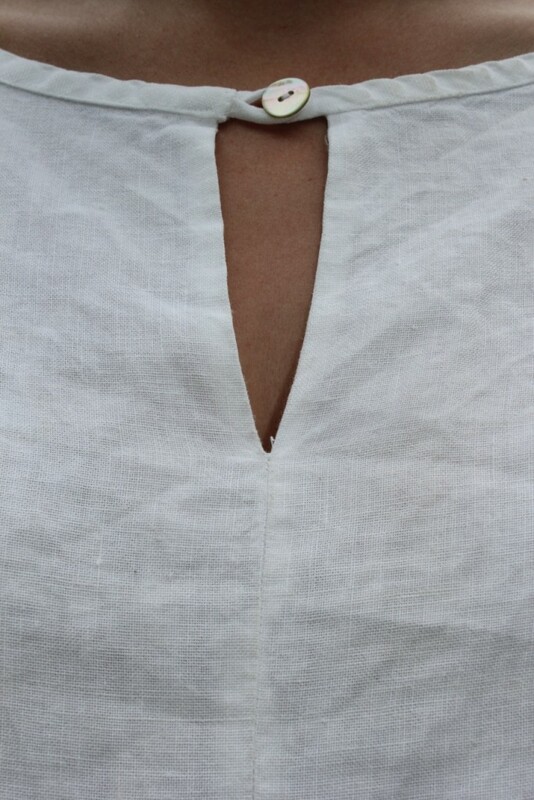 A white linen tunic that I made when I was in my early 20s. I like it and its held up well. This is probably because being white and linen it requires washing often and then a good iron. Neither of these happen that often round here.... hence the crinkly look, this is its second day of wear I wore it last week too and thought it would do another day. Its lovely heavy high quality linen. I am also really pleased with the neat finish I achieved with this. 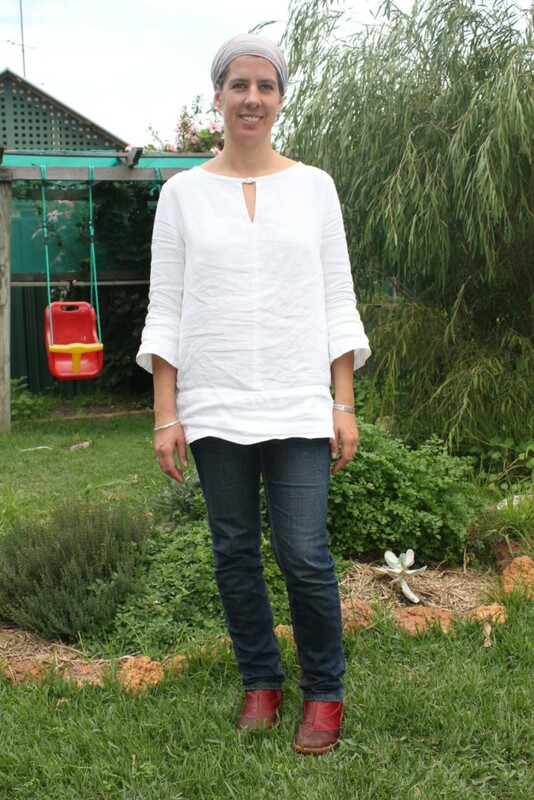 It was Burda Pattern and its a size 14 so a little big but it works ok in this tunic style. 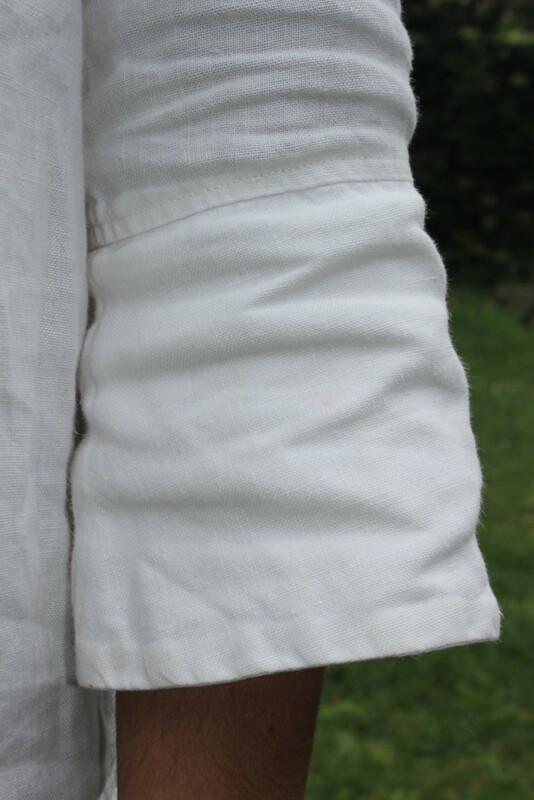 Double layered cuffs and hem. 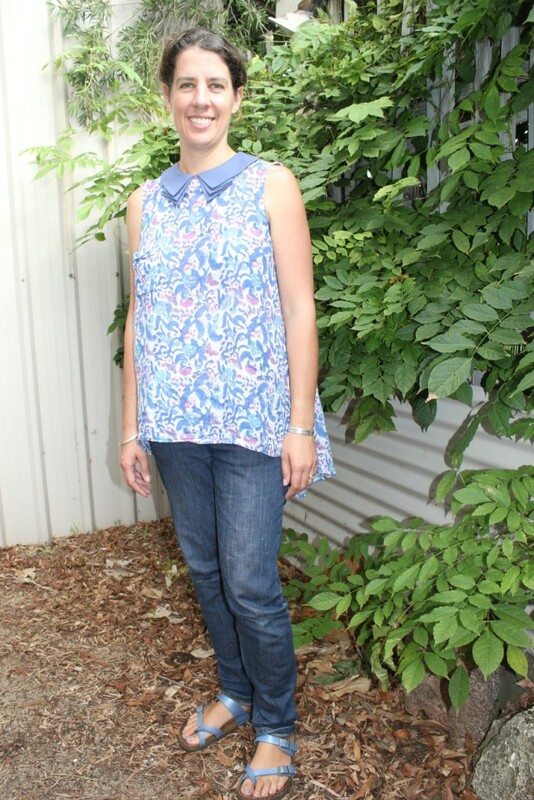 My lovely Roxanne Top by Victory Patterns. Its great to wear although I am not sure what to wear with it to keep warm. You will notice I wear my jeans A LOT if I am not wearing a dress. I must start thinking about the other part of my pledge which was to make some trousers. Stay tuned. Yes very lucky, I love it. Finally managed to brush the dreadlocks out of Skye's hair this week!